On March 19 the who’s who of the watch industry will gather in the medieval city of Basel, Switzerland to begin the annual eight-day odyssey known as Baselworld, the world’s biggest and most important watch and jewelry fair. One company that exhibits annually in Basel is Fortis, a brand with an even longer history than the fair itself, having opened its factory doors in nearby Grenchen, Switzerland in 1912. 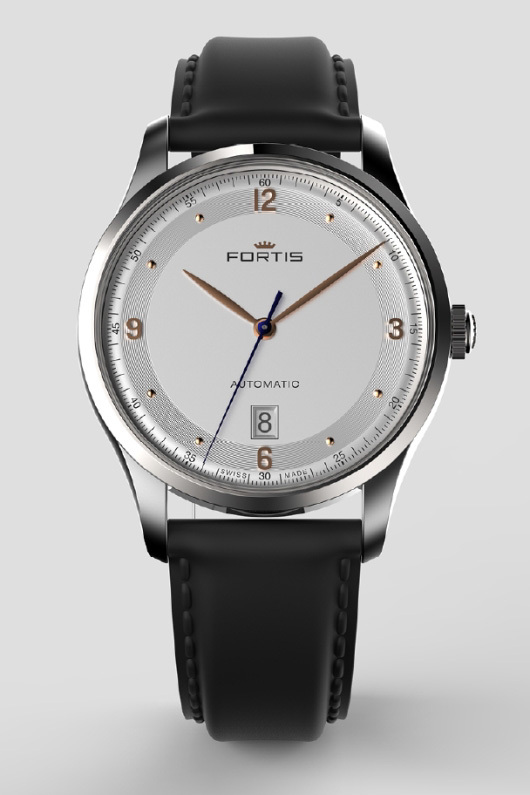 Fortis first raised eyebrows in Basel in 1926 when it introduced the Harwood – the first automatic watch. Fortis remains a leader in innovation with an unwavering desire to conquer new frontiers – including space – where Fortis watches have dominated for more than 20 years and 100,000 earth orbits. In Basel, Fortis sets up in a private suite at the Basel Dorint Hotel, adjacent to the main Baselworld pavilion*, where it hosts its valued partners and guests. 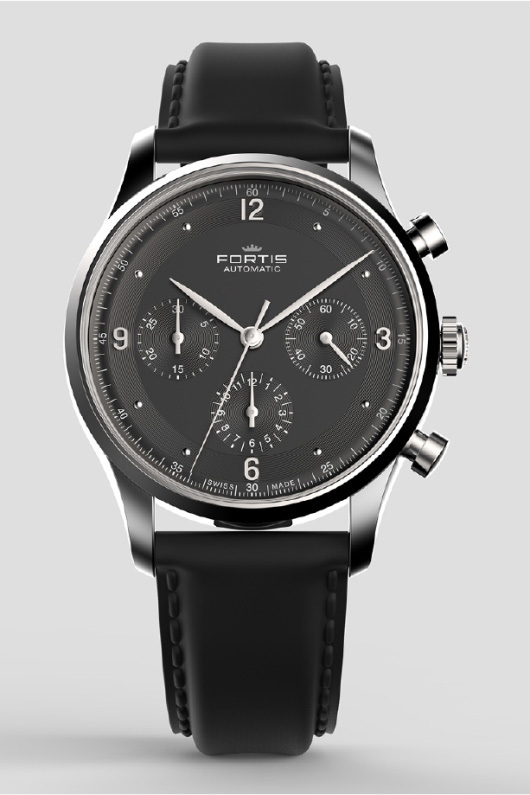 Visitors to the suite this year will handle a host of Fortis watches including two new timepiece collections. The first is the Tycoon, a watch in the Terrestis collection, which pays homage to Fortis watches of the 1930s and ’40s with its slim case, domed crystal and straightforward functionality. While the look is vintage, Tycoon watches are light-years ahead of their predecessors in terms of movement technology – each watch is equipped with a Swiss made ETA movement. The Tycoon represents the best of vintage style with the best of modern engineering. 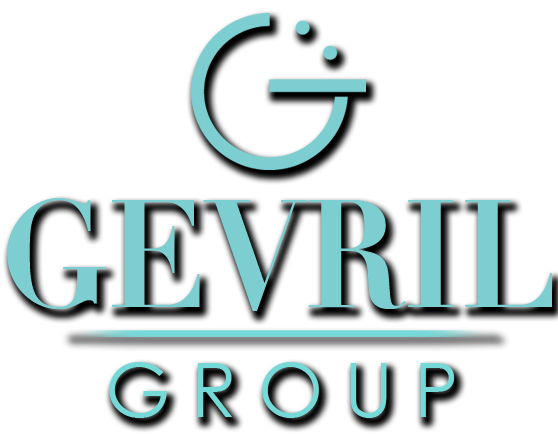 The Tycoon also exudes the brand’s DNA. “We give the adventure-seeking gentleman an instrument suitable for every event, from the racetrack to a black-tie party,” says Fortis CEO Maximilian Spitzy. The second collection being introduced at Baselworld this year is the Fortis Aeromaster in either “Dawn” or “Dusk” versions. 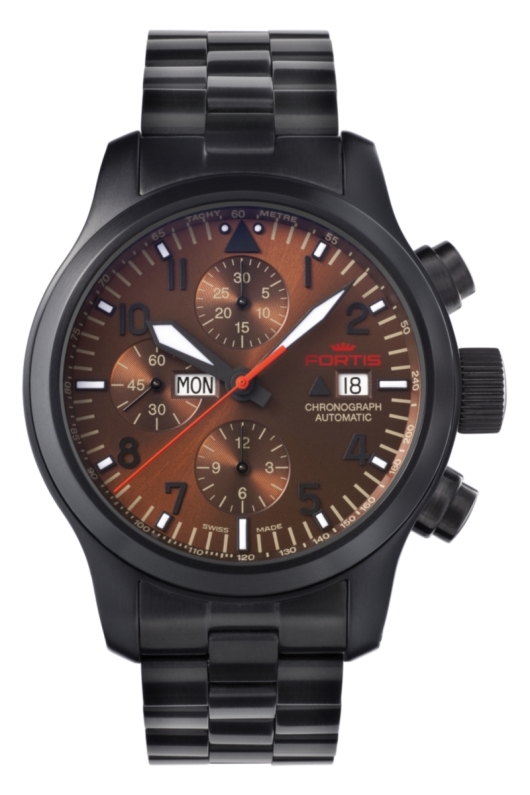 These models of the Aeromaster have all the characteristics of classic Fortis pilots’ watches including the large sword hands, large luminous markers and Swiss made automatic ETA movements. 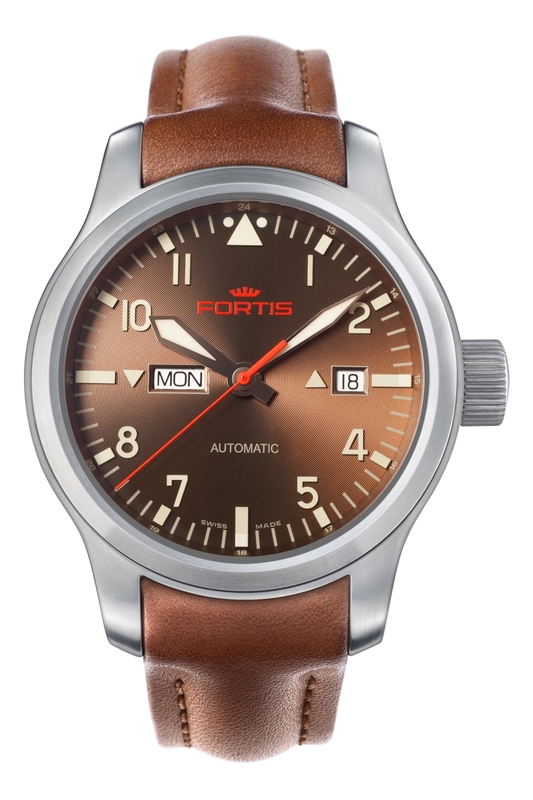 But unlike other Fortis pilots’ chronographs, the Aeromaster Dawn and Aeromaster Dusk have original looks, with sunray patterns on brown dials as well as a mix of red and beige elements. Visitors to Baselworld are invited to preview the new Fortis timepiece collections from March 19–25 at the Basel Dorint Hotel. 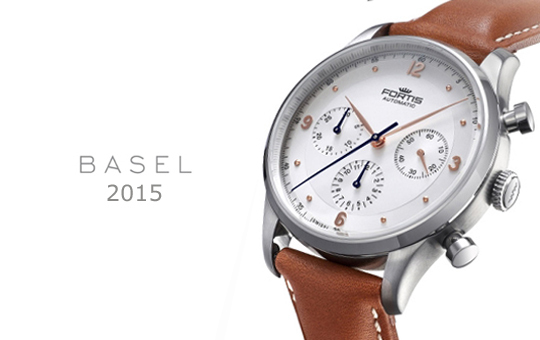 *The Fortis Basel Dorint Hotel exhibit is not affiliated in any way with Baselworld 2015.